Today we relase new video on Youtube Channel Ini Vie Hospitality. Ini Vie Hospitality is proudly presents new Kecapi Villa - A new ambiance for Family Getaway Villa in Seminyak Bali. The villa earmarked for family getaway by featuring Two Bedroom Villa with Private Pool and Three Bedroom Villa with Private Pool that could be converted to One Bedroom with Private Pool which is completed with bathroom in each room and bathtub, large private pool, kitchen with kitchenette and living area with standard villa guest amenities and supplies.Personalize service by professional staff who always taking care and make you having quality time with your family during stay. It takes 30 minutes drive from I Gusti Ngurah Rai International Airport with perfectly located in Seminyak area where many cafes and restaurants by walking distance along with only 7 minutes drive to the nearest beach and famous beach club in Seminyak and Canggu that make you and your family more having fun during family getaway in Bali. Are you looking for a peaceful place with your family during Nyepi/Silent day in Bali? We are glad to share that Kecapi Villa has received a Guest Review Award 2018 from Booking.com which is a travel fare aggregator website and travel metasearch engine for lodging reservations. Base on that, Booking.com has process data opinion from our valuable guest who has booking and review Kecapi Villa, resulting in a score of 9 out of a possible 10. We would like to thank you for all valuable guest who trust Kecapi Villa as their accommodation during trip in Bali and we keep looking forward to welcoming you in the nearest future. Today we relase new video on Youtube Channel Ini Vie Hospitality. Ini Vie Hospitality is proudly presents Kecapi Villa - A Perfect Family Getaway Villa in Seminyak Bali. The villa earmarked for family getaway by featuring Two Bedroom Villa with Private Pool and Three Bedroom Villa with Private Pool that could be converted to One Bedroom with Private Pool which is completed with bathroom in each room and bathtub, large private pool, kitchen with kitchenette and living area with standard villa guest amenities and supplies.Personalize service by professional staff who always taking care and make you having quality time with your family during stay. It takes 30 minutes drive from I Gusti Ngurah Rai International Airport with perfectly located in Seminyak area where many cafes and restaurants by walking distance along with only 7 minutes drive to the nearest beach and famous beach club in Seminyak and Canggu that make you and your family more having fun during family getaway in Bali. We are glad to share Kecapi Villa is featured on Hotels Combined Blog. 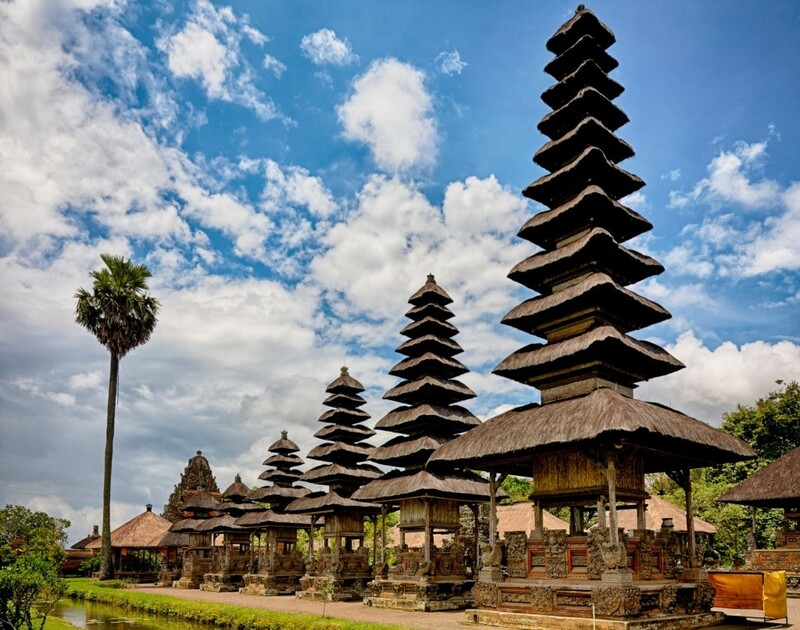 "Bali is known as the “Island of the Gods”, blessed with a combination of centuries-old temples and exotic landscapes. Home to boutique shopping, luxury spas and art galleries, Seminyak is a sophisticated area of the island lined with beach bars and cafes where you can indulge in leisure-filled days exploring Bali’s most sought-after neighbourhood. With over 400 million annual visitors to HotelsCombined, we’ve saved you the trouble and highlighted the top villas in Seminyak. Luxurious havens tucked away from Jalan Laksmana street, these villas feature private swimming pools and dedicated staff, adding touches of opulence you won’t find at a regular hotel." It’s 12.12, it’s time to book direct for staying @kecapivilla, Findout the shocking rate by scanning the barcode or you may use the special promocode IVH1212. This promotion will be available till 12 December 2018 which is staying 12 December 2018 till 22 December 2019. Please makesure you don’t miss it the offer. Bali was once a sleepy little island, only on the radar of surfers and hippies but over the last 4 or 5 decades the island has changed into a place to suit luxury and adventure travellers alike. There is no shortage of places to stay, things to do and people to show you around. In this article we’ll explain why you should make Bali your first overseas holiday. When you travel to a place there is always one thing that will stick out - the locals. Have a bad encounter and you’ll always remember it and never want to go back. The locals in Bali are some of the friendliest people on the planet, amazingly warm and gentle and if you’re away from the tourist areas, you’ll see a totally different side of the island. The Balinese peoples beliefs are very strong and they offer a daily morning ritual to the gods. It’s not uncommon to see them walking down the street or to have big celebrations so embrace it while you’re there, you might even find yourself being invited along. When people are travelling to the developing world they worry about not being able to find the comforts of home or the medical assistance if they need it. Bali is one place where you don’t have to worry about either. With world class shopping centres and 2 hospitals with accreditation from the Australian Council on Healthcare Standard International (ACHSI), you’ll have nothing to worry about besides where to go for that morning coffee. With so many hidden treasures, the only thing you’ll need to figure out is how to find a way to stay. The island may be over touristed but with the overwhelming majority only ever staying in the south - this leaves the whole rest of the island pretty much empty of tourists. The jungle in Bali is thick and covers over half the island. With so much space, there are never ending options of where to stay or which jungle hideaway you’re going to check out. 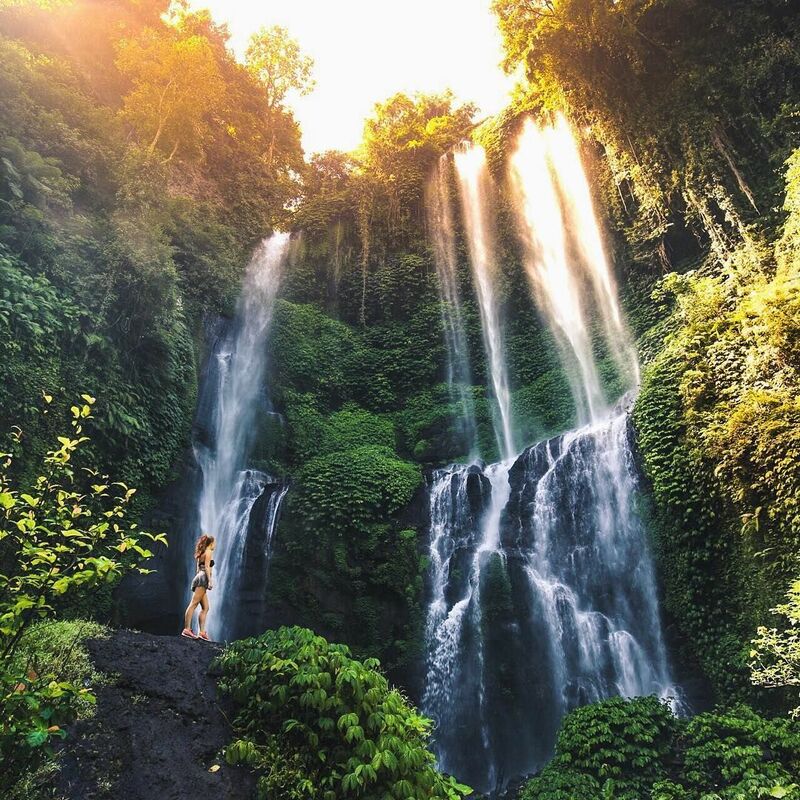 The other secret spots are the waterfalls of Bali, where you will find tranquility in its purest form. For digital nomads, Bali has been the go to place and for good reason. Boasting warm sunny weather practically all year round and having some of the nicest beaches in Asia, it makes the perfect place to make home for a few weeks to a few years. The internet is fast, the cost of living is cheap and you’ll find other like minded people doing exactly what you want to do. A lot of people come here for a short trip and fall in love with the island and never end up leaving - the life here is that good that you’ll just have to come to find out for yourself. World class surf meets active volcanoes, it can’t get much better than that. You could be enjoying the beaches by day and watching the sunrise from the highest point on the island early the next morning. There is something for everybody and you’ll be glad you ventured from the comfort of your hotel to experience what Bali has to offer. With the many waterfalls, beaches, jungles and volcanoes you’ll have enough to keep yourself busy for weeks. Don’t forget the underwater world as well - Bali and it’s surrounds have some great diving that is affordable and you’ll get to see some amazing creatures. With the exchange rate of the dollar to the Indonesian rupiah being quite good you’ll be surprised at how far your money can go. You could spend a week in a developed country or with the same money you could spend a month in Bali - I know which one I’d be choosing. Accommodation can start at $10 a night and food can be as cheap as $1 for a simple fried rice. Even eating out at a fancy restaurant can be half as much as it would cost in a developed country. For this exact reason you’ll find thousands of ex-pats calling Bali home. Rent here can range from $500 a month up to the thousands but its all how you want to live. The over whelming majority live on $1000-$2000 a month which is feasible for just about anybody. Bali is well known for its luxury hotels and villas and you only have to go a short distance from the airport to find out why. The best hotels and villas are spread out along the southern cliffs, boasting infinity pools and private beaches that would usually be reserved for the rich and famous. The great thing about Bali is that just about anyone can afford to stay in these incredibly well designed and luxurious lodgings. With new developments popping up every other week there is no shortage for you to find that perfect place to stay and feel like a celebrity. Bali is the perfect place to see another culture that is so totally unique that it exists no where else on the planet. The Hindu beliefs the Balinese share are different to other Hindu beliefs which creates an amazing experience in itself. Some of the older sacrificial traditions can still be found away from the populated areas and if you can find a traditional ceremony, count yourself super privileged to see this. The best places to find such ceremonies are in Padang Bai in the east, Uluwatu and Ubud however the latter are over touristed. The Balinese certainly know what to do when it comes to their culinary delights. You can find some of the best food anywhere here and there is something for everybody’s tastes. From the western food in the tourist areas to the traditional Balinese cakes and babi guling (pig on the spit) you can find it all. Some of the best food can be found at the “warungs” that serve a mixture of Indonesian food and wester food. No matter the place you will not go hungry in Bali. Bali has long been known as a party destination and you have to go no further than Kuta or Legian to find some of the best clubs and bars. From the Sky Garden (Bali's biggest club) to Ku Da Ta and everything in between, there will be something for everyone. Be warned though that the nightlife in Bali can be dangerous, with thieves and locals targeting tourists alike so take care and always go with a mate.